Double Ten Revolution in Shanghai. 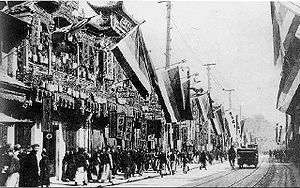 The picture above is Nanjing Road after the Shanghai Uprising, hung with the Five Races Under One Union flags then used by the revolutionaries. 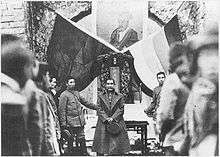 The Xinhai Revolution (Chinese: 辛亥革命; pinyin: Xīnhài gémìng), also known as the Revolution of 1911, or the Chinese Revolution (though this term may also refer to a number of other events), was a revolution that overthrew China's last imperial dynasty (the Qing dynasty), and established the Republic of China (ROC). The revolution was named Xinhai (Hsin-hai) because it occurred in 1911, the year of the Xinhai (辛亥) stem-branch in the sexagenary cycle of the Chinese calendar. 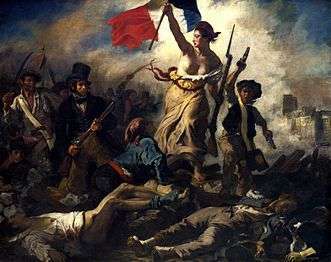 The revolution consisted of many revolts and uprisings. The turning point was the Wuchang Uprising on October 10, 1911, that was a result of the mishandling of the Railway Protection Movement. The revolution ended with the abdication of the six-year-old "Last Emperor", Puyi, on February 12, 1912, that marked the end of 2,000 years of imperial rule and the beginning of China's early republican era (1912–16). The Republic of China in Taiwan and the People's Republic of China on the mainland consider themselves the legitimate successors to the Xinhai Revolution and revere the ideals of the revolution including nationalism, republicanism, modernization of China and national unity. October 10 is commemorated in Taiwan as Double Ten Day, the National Day of the ROC. In mainland China, Hong Kong and Macau, the same day is usually celebrated as the Anniversary of the Xinhai Revolution. Many overseas Chinese also celebrate the anniversary in Chinatowns across the world. 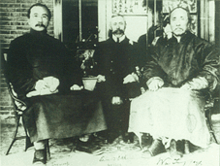 After the failure of the Hundred Days' Reform in 1898, Guangxu's advisors Kang Youwei (left, 1858–1927) and Liang Qichao (1873–1929) fled into exile, while Tan Sitong (right, 1865–1898) was executed. In Canada, Kang and Liang formed the Emperor Protection Society to promote constitutional monarchy for China. In 1900, they supported an unsuccessful uprising in central China to rescue Guangxu. After the Xinhai Revolution, Liang became a Minister of Justice of the Republic of China. Kang remained a royalist and supported restoring the last Qing emperor Puyi in 1917. After suffering its first defeat to the West in the First Opium War in 1842, the Qing court struggled to contain foreign intrusions into China. Efforts to adjust and reform the traditional methods of governance were constrained by a deeply conservative court culture where ethnic Manchu rulers did not want to give too much authority to the Han Chinese majority. In the wars against the Taiping (1851–64), Nian (1851–68), Muslims of Yunnan (1856–68) and the Northwest (1862–77), the traditional Manchu armies proved themselves incompetent, and the court came to rely on local Han armies. Following defeat in the Second Opium War, the Qing tried to modernize by adopting certain Western technologies through the Self-Strengthening Movement from 1861. In 1895, China suffered a serious defeat during the First Sino-Japanese War. This demonstrated that traditional Chinese feudal society also needed to be modernized if the technological and commercial advancements were to succeed. In 1898 the Guangxu Emperor was guided by reformers like Kang Youwei and Liang Qichao for a drastic reform in education, military and economy under the Hundred Days' Reform. The reform was a failure, as it was ended prematurely by a conservative coup led by Empress Dowager Cixi. The Guangxu Emperor, who had always been a puppet dependent on Cixi, was put under house arrest in June 1898. Reformers Kang and Liang would be exiled. While in Canada, in June 1899, they tried to form the Emperor Protection Society in an attempt to restore the emperor. Empress Dowager Cixi mainly controlled the Qing dynasty from this point on. The Boxer Rebellion prompted another foreign invasion of Beijing in 1900 and the imposition of unequal treaty terms, which carved away territories, created extraterritorial concessions and gave away trade privileges. Under internal and external pressure, the Qing court began to adopt some of the reforms. The Qing managed to maintain its monopoly on political power by suppressing, often with great brutality, all domestic rebellions. Dissidents could operate only in secret societies and underground organizations, in foreign concessions or in exile overseas. There were many revolutionaries and groups that wanted to overthrow the Qing government to re-establish a Han Chinese government. The earliest revolutionary organizations were founded outside of China, such as Yeung Ku-wan's Furen Literary Society, created in Hong Kong in 1890. There were 15 members, including Tse Tsan-tai, who did political satire such as "The Situation in the Far East", one of the first ever Chinese manhua, and who later became one of the core founders of the South China Morning Post. Sun Yat-sen's Xingzhonghui (Revive China Society) was established in Honolulu in 1894 with the main purpose of raising funds for revolutions. The two organizations were merged in 1894. The Huaxinghui (China Revival Society) was founded in 1904 with notables like Huang Xing, Zhang Shizhao, Chen Tianhua and Song Jiaoren, along with 100 others. Their motto was "Take one province by force, and inspire the other provinces to rise up". The Guangfuhui (Restoration Society) was also founded in 1904, in Shanghai with Cai Yuanpei. Other notable members include Zhang Binglin and Tao Chengzhang. Despite professing the anti-Qing cause, the Guangfuhui was highly critical of Sun Yat-sen. One of the most famous female revolutionaries was Qiu Jin, who fought for women's rights and was also from Guangfuhui. There were also many other minor revolutionary organizations, such as Lizhi Xuehui (勵志學會) in Jiangsu, Gongqianghui (公強會) in Sichuan, Yiwenhui (益聞會) and Hanzudulihui (漢族獨立會) in Fujian, Yizhishe (易知社) in Jiangxi, Yuewanghui (岳王會) in Anhui and Qunzhihui (群智會/群智社) in Guangzhou. There were also criminal organizations that were anti-Manchu, including the Green Gang and Hongmen Zhigongtang (致公堂). 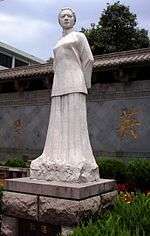 Sun Yat-sen himself came in contact with the Hongmen, also known as Tiandihui (Heaven and Earth society). Sun Yat-sen successfully united the Revive China Society, Huaxinghui and Guangfuhui in the summer of 1905, thereby establishing the unified Tongmenghui (United League) in August 1905 in Tokyo. While it started in Tokyo, it had loose organizations distributed across and outside the country. Sun Yat-sen was the leader of this unified group. Other revolutionaries who worked with the Tongmenghui include Wang Jingwei and Hu Hanmin. When the Tongmenhui was established, more than 90% of the Tongmenhui members were between 17-26 years of age. Some of the work in the era includes manhua publications, such as the Journal of Current Pictorial. In February 1906 Rizhihui (日知會) also had many revolutionaries, including Sun Wu (孫武), Zhang Nanxian (張難先), He Jiwei and Feng Mumin. A nucleus of attendees of this conference evolved into the Tongmenhui's establishment in Hubei. In July 1907 several members of Tongmenhui in Tokyo advocated a revolution in the area of the Yangtze River. 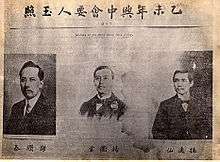 Liu Quiyi (劉揆一), Jiao Dafeng (焦達峰), Zhang Boxiang (張伯祥) and Sun Wu (孫武) established Gongjinhui (Progressive Association) (共進會). In January 1911, the revolutionary group Zhengwu Xueshe (振武學社) was renamed as Wenxueshe (Literary society) (文學社). Jiang Yiwu (蔣翊武) was chosen as the leader. These two organizations would play a big role in the Wuchang Uprising. Many young revolutionaries adopted the radical programs of the anarchists. In Tokyo Liu Shipei proposed the overthrow of the Manchus and a return to Chinese classical values. In Paris Li Shizhen, Wu Zhihui and Zhang Renjie agreed with Sun on the necessity of revolution and joined the Tongmenghui, but argued that a political replacement of one government with another government would not be progress; revolution in family, gender and social values would remove the need for government and coercion. 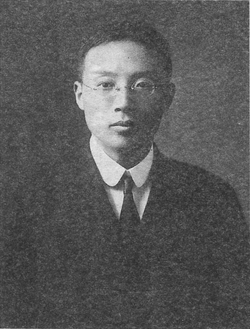 Zhang Ji was among the anarchists who defended assassination and terrorism as a means toward revolution, but others insisted that only education was justifiable. Important anarchists included Cai Yuanpei, Wang Jingwei and Zhang Renjie, who gave Sun major financial help. Many of these anarchists would later assume high positions in the Kuomintang (KMT). Many revolutionaries promoted anti-Qing/anti-Manchu sentiments and revived memories of conflict between the ethnic minority Manchu and the ethnic majority Han Chinese from the late Ming dynasty (1368–1644). 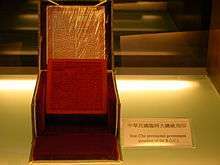 Leading intellectuals were influenced by books that had survived from the last years of the Ming dynasty, the last dynasty of Han Chinese. In 1904, Sun Yat-sen announced that his organization's goal was "to expel the Tatar barbarians, to revive Zhonghua, to establish a Republic, and to distribute land equally among the people." (驅除韃虜, 恢復中華, 創立民國, 平均地權). Many of the underground groups promoted the ideas of "Resist Qing and restore Ming" (反清復明) that had been around since the days of the Taiping Rebellion. Others, such as Zhang Binglin, supported straight-up lines like "slay the manchus" and concepts like "Anti-Manchuism" (興漢滅胡 / 排滿主義). Assistance from overseas Chinese was important in the Xinhai Revolution. In 1894, the first year of the Revive China Society, the first meeting ever held by the group was held in the home of Ho Fon, an overseas Chinese who was the leader of the first Chinese Church of Christ. 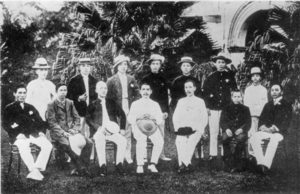 Overseas Chinese supported and actively participated in the funding of revolutionary activities, especially the Southeast Asia Chinese of Malaya (Singapore and Malaysia). Many of these groups were reorganized by Sun, who was referred to as the "father of the Chinese revolution". In 1906, after the abolition of the imperial examinations, the Qing government established many new schools and encouraged students to study abroad. Many young people attended the new schools or went abroad to study in places like Japan. A new class of intellectuals emerged from those students, who contributed immensely to the Xinhai Revolution. Besides Sun Yat-sen, key figures in the revolution, such as Huang Xing, Song Jiaoren, Hu Hanmin, Liao Zhongkai, Zhu Zhixin and Wang Jingwei, were all Chinese students in Japan. Some were young students like Zou Rong, known for writing the book Revolutionary Army, in which he talked about the extermination of the Manchus for the 260 years of oppression, sorrow, cruelty and tyranny and turning the sons and grandsons of Yellow Emperor into George Washingtons. Before 1908, revolutionaries focused on coordinating these organizations in preparation for uprisings that these organizations would launch; hence, these groups would provide most of the manpower needed for the overthrow of the Qing Dynasty. After the Xinhai Revolution, Sun Yat-sen recalled the days of recruiting support for the revolution and said, "The literati were deeply into the search for honors and profits, so they were regarded as having only secondary importance. By contrast, organizations like Sanhehui were able to sow widely the ideas of resisting the Qing and restoring the Ming." The strength of the gentry in local politics had become apparent. From December 1908, the Qing government created some apparatus to allow the gentry and businessmen to participate in politics. These middle-class people were originally supporters of constitutionalism. However, they became disenchanted when the Qing government created a cabinet with Prince Qing as prime minister. 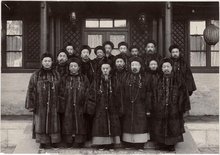 By early 1911, an experimental cabinet had thirteen members, nine of whom were Manchus selected from the imperial family. Besides Chinese and overseas Chinese, some of the supporters and participants of the Xinhai Revolution were foreigners; among them, the Japanese were the most active group. Some Japanese even became members of Tongmenghui. Miyazaki Touten was the closest Japanese supporter; others included Heiyama Shu and Ryōhei Uchida. Homer Lea, an American, who became Sun Yat-sen's closest foreign advisor in 1910, supported Sun Yat-sen's military ambitions. British soldier Rowland J. Mulkern also took part in the revolution. Some foreigners, such as English explorer Arthur de Carle Sowerby, led expeditions to rescue foreign missionaries in 1911 and 1912. 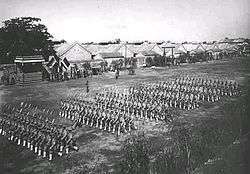 The New Army was formed in 1901 after the defeat of the Qings in the First Sino-Japanese War. They were launched by a decree from eight provinces. New Army troops were by far the best trained and equipped. The recruits were of a higher quality than the old army and received regular promotions. Beginning in 1908, the revolutionaries began to shift their call to the new armies. Sun Yat-sen and the revolutionaries infiltrated the New Army. The central focus of the uprisings were mostly connected with the Tongmenghui and Sun Yat-sen, including subgroups. Some uprisings involved groups that never merged with the Tongmenghui. Sun Yat-sen may have participated in 8–10 uprisings; all uprisings prior to the failed Wuchang Uprising. In the spring of 1895, the Revive China Society, which was based in Hong Kong, planned the First Guangzhou Uprising (廣州起義). Lu Haodong was tasked with designing the revolutionaries' Blue Sky with a White Sun flag. On October 26, 1895, Yeung Ku-wan and Sun Yat-sen led Zheng Shiliang and Lu Haodong to Guangzhou, preparing to capture Guangzhou in one strike. However, the details of their plans were leaked to the Qing government. The government began to arrest revolutionaries, including Lu Haodong, who was later executed. The first Guangzhou uprising was a failure. Under pressure from the Qing government, the government of Hong Kong forbade these two men to enter the territory for five years. Sun Yat-sen went into exile, promoting the Chinese revolution and raising funds in Japan, the United States, Canada and Britain. In 1901, following the Huizhou uprising, Yeung Ku-wan was assassinated by Qing agents in Hong Kong. After his death, his family protected his identity by not putting his name on his tomb, just a number: 6348. In 1901, after the Boxer Rebellion started, Tang Caichang (唐才常) and Tan Sitong of the previous Foot Emancipation Society organised the Independence Army. The Independence Army Uprising (自立軍起義) was planned to occur on August 23, 1900. Their goal was to overthrow Empress Dowager Cixi to establish a constitutional monarchy under the Guangxu Emperor. Their plot was discovered by the governor general of Hunan and Hubei. About twenty conspirators were arrested and executed. On October 8, 1900, Sun Yat-sen ordered the launch of the Huizhou Uprising (惠州起義). The revolutionary army was led by Zheng Shiliang and initially included 20,000 men, who fought for half a month. However, after the Japanese Prime Minister prohibited Sun Yat-sen from carrying out revolutionary activities on Taiwan, Zheng Shiliang had no choice but to order the army to disperse. This uprising therefore also failed. British soldier Rowland J. Mulkern participated in this uprising. A very short uprising occurred from January 25 to 28, 1903, to establish a "Great Ming Heavenly kingdom" (大明順天國). This involved Tse Tsan-tai, Li Jitang (李紀堂), Liang Muguang (梁慕光) and Hong Quanfu (洪全福), who formerly took part in the Jintian Uprising during the Taiping Heavenly Kingdom era. 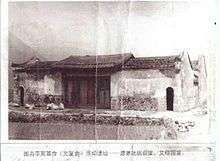 Ma Fuyi (馬福益) and Huaxinghui was involved in an uprising in the three areas of Pingxiang, Liuyang and Liling, called "Ping-liu-li Uprising", (萍瀏醴起義) in 1905. The uprising recruited miners as early as 1903 to rise against the Qing ruling class. After the uprising failed, Ma Fuyi was executed. Wu Yue (吳樾) of Guangfuhui carried out an assassination attempt at the Beijing Zhengyangmen East Railway station (正陽門車站) in an attack on five Qing officials on September 24, 1905. The Huanggang Uprising (黃岡起義) was launched on May 22, 1907, in Chaozhou. The Revolutionary party, along with Xu Xueqiu (許雪秋), Chen Yongpo (陳湧波) and Yu Tongshi (余通實), launched the uprising and captured Huanggang city. Other Japanese that followed include (萱野長知) and (池亨吉). After the uprising began, the Qing government quickly and forcefully suppressed it. Around 200 revolutionaries were killed. In the same year, Sun Yat-sen sent more revolutionaries to Huizhou to launch the "Huizhou Qinuhu Uprising" (惠州七女湖起義). On June 2, Deng Zhiyu (鄧子瑜) and Chen Chuan (陳純) gathered some followers, and together, they seized Qing arms in the lake, 20 km (12 mi) from Huizhou. They killed several Qing soldiers and attacked Taiwei (泰尾) on the 5th. The Qing army fled in disorder, and the revolutionaries exploited the opportunity, capturing several towns. They defeated the Qing army once again in Bazhiyie. Many organizations voiced their support after the uprising, and the number of revolutionary forces increased to two hundred men at its height. The uprising, however, ultimately failed. On July 6, 1907, Xu Xilin of Guangfuhui led an uprising in Anqing, Anhui, which became known as the Anqing Uprising (安慶起義). Xu Xilin at the time was the police commissioner as well as the supervisor of the police academy. He led an uprising that was to assassinate the provincial governor of Anhui, En Ming (恩銘). They were defeated after four hours of fighting. Xu was captured, and En Ming's bodyguards cut out his heart and liver and ate them. His cousin Qiu Jin was executed a few days later. From August to September 1907, the Qinzhou Uprising occurred (欽州防城起義)., to protest against heavy taxation from the government. Sun Yat-sen sent Wang Heshun (王和順) there to assist the revolutionary army and captured the county in September. After that, they attempted to besiege and capture Qinzhou, but they were unsuccessful. They eventually retreated to the area of Shiwandashan, while Wang Heshun returned to Vietnam. On December 1, 1907, the Zhennanguan Uprising (鎮南關起事) took place at Zhennanguan, a pass on the Chinese-Vietnamese border. Sun Yat-sen sent Huang Mintang (黃明堂) to monitor the pass, which was guarded by a fort. With the assistance of supporters among the fort's defenders, the revolutionaries captured the cannon tower in Zhennanguan. Sun Yat-sen, Huang Xing and Hu Hanmin personally went to the tower to command the battle. The Qing government sent troops led by Long Jiguang and Lu Rongting to counterattack, and the revolutionaries were forced to retreat into the mountainous areas. After the failure of this uprising, Sun was forced to move to Singapore due to anti-Sun sentiments within the revolutionary groups. He would not return to the mainland until after the Wuchang Uprising. On March 27, 1908, Huang Xing launched a raid, later known as the Qin-lian Uprising (欽廉上思起義), from a base in Vietnam and attacked the cities of Qinzhou and Lianzhou in Guangdong. The struggle continued for fourteen days but was forced to terminate after the revolutionaries ran out of supplies. In April 1908, another uprising was launched in Yunnan, Hekou, called the Hekou Uprising (雲南河口起義). Huang Mingtang (黃明堂) led two hundred men from Vietnam and attacked Hekou on April 30. Other revolutionaries who participated include Wang Heshun (王和順) and Guan Renfu (關仁甫). They were outnumbered and defeated by government troops, however, and the uprising failed. On November 19, 1908, the Mapaoying Uprising (馬炮營起義) was launched by revolutionary group Yuewanghui (岳王會) member Xiong Chenggei (熊成基) at Anhui. Yuewanghui, at this time, was a subset of Tongmenghui. This uprising also failed. In February 1910, the Gengxu New Army Uprising (庚戌新軍起義), also known as the Guangzhou New Army Uprising (廣州新軍起義), took place. This involved a conflict between the citizens and local police against the New Army. After revolutionary leader Ni Yingdian was killed by Qing forces, the remaining revolutionaries were quickly defeated, causing the uprising to fail. On April 27, 1911, an uprising occurred in Guangzhou, known as the Second Guangzhou Uprising (辛亥廣州起義) or Yellow Flower Mound Revolt (黃花岡之役). It ended in disaster, as only 72 bodies were ever found. The 72 revolutionaries were remembered as martyrs. Revolutionary Lin Juemin (林覺民) was one of the 72. On the eve of battle, he wrote the legendary "A Letter to My Wife" (與妻訣別書), later to be considered as a masterpiece in Chinese literature. The Literary Society (文學社) and the Progressive Association (共進會) were revolutionary organizations involved in the uprising that mainly began with a Railway Protection Movement protest. In the late summer, some Hubei New Army units were ordered to neighboring Sichuan to quell the Railway Protection Movement, a mass protest against the Qing government's seizure and handover of local railway development ventures to foreign powers. Banner officers like Duanfang, the railroad superintendent, and Zhao Erfeng led the New Army against the Railway Protection Movement. The New Army units of Hubei had originally been the Hubei Army, which had been trained by Qing official Zhang Zhidong. On September 24, the Literary Society and Progressive Association convened a conference in Wuchang, along with sixty representatives from local New Army units. During the conference, they established a headquarters for the uprising. The leaders of the two organizations, Jiang Yiwu (蔣翊武) and Sun Wu (孫武), were elected as commander and chief of staff. Initially, the date of the uprising was to be October 6, 1911. It was postponed to a later date due to insufficient preparations. 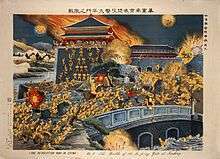 Revolutionaries intent on overthrowing the Qing dynasty had built bombs, and on October 9, one accidentally exploded. Sun Yat-sen himself had no direct part in the uprising and was traveling in the United States at the time in an effort to recruit more support from among overseas Chinese. The Qing Viceroy of Huguang, Rui Cheng (瑞澂), tried to track down and arrest the revolutionaries. Squad leader Xiong Bingkun (熊秉坤) and others decided not to delay the uprising any longer and launched the revolt on October 10, 1911, at 7 pm. The revolt was a success; the entire city of Wuchang was captured by the revolutionaries on the morning of October 11. That evening, they established a tactical headquarters and announced the establishment of the "Military Government of Hubei of Republic of China". The conference chose Li Yuanhong as the governor of the temporary government. Qing officers like the bannermen Duanfang and Zhao Erfeng were killed by the revolutionary forces. After the success of the Wuchang Uprising, many other protests occurred throughout the country for various reasons. Some of the uprisings restored imperial rule (光復). Other uprisings were a step toward independence, and some were protests or rebellions against the local authorities. Regardless the reason for the uprising the outcome was that all provinces in the country renounced the Qing dynasty and joined the ROC. On October 22, 1911, the Hunan Tongmenghui were led by Jiao Dafeng (焦達嶧) and Chen Zuoxin (陳作新). They headed an armed group, consisting partly of revolutionaries from Hongjiang and partly of defecting New Army units, in a campaign to extend the uprising into Changsha. They captured the city and killed the local Imperial general. Then they announced the establishment of the Hunan Military Government of the Republic of China and announced their opposition to the Qing Empire. On the same day, Shaanxi's Tongmenghui, led by Jing Dingcheng (景定成) and Qian ding (錢鼎) as well as Jing Wumu (井勿幕) and others including Gelaohui, launched an uprising and captured Xi'an after two days of struggle. The Muslim general Ma Anliang led more than twenty battalions of Hui Muslim troops to defend the Qing imperials and attacked Shaanxi, held by revolutionary Zhang Fenghui (張鳳翽). The attack was successful, but after news arrived that Puyi was about to abdicate, Ma agreed to join the new Republic. The revolutionaries established the "Qinlong Fuhan Military Government" and elected Zhang Fenghui, a member of the Yuanrizhi Society (原日知會), as new governor. Xi'an Manchu city (滿城) finally fell on October 24, after a massacre of its Manchu residents. Many of its Manchu defenders committed suicide, including Qing general Wenrui (文瑞), who threw himself down a well. On October 23, Lin Sen, Jiang Qun (蔣群), Cai Hui (蔡蕙) and other members of the Tongmenghui in the province of Jiangxi plotted a revolt of New Army units. After they achieved victory, they announced their independence. The Jiujiang Military Government was then established. On October 29, Yan Xishan of the New Army led an uprising in Taiyuan, the capital city of the province of Shanxi, along with Yao Yijie (姚以價), Huang Guoliang (黃國梁), Wen Shouquan (溫壽泉), Li Chenglin (李成林), Zhang Shuzhi (張樹幟) and Qiao Xi (喬煦). They managed to kill the Qing Governor of Shanxi, Lu Zhongqi (陸鍾琦). They then announced the establishment of Shanxi Military Government with Yan Xishan as the military governor. Yan Xishan would later become one of the warlords that plagued China during what was known as "the warlord era". On October 30, Li Genyuan (李根源) of the Tongmenghui in Yunnan province joined with Cai E, Luo Peijin (羅佩金), Tang Jiyao, and other officers of the New Army to launch the Double Ninth Uprising (重九起義). They captured Kunming the next day and established the Yunnan Military Government, electing Cai E as the military governor. On October 31, the Nanchang branch of the Tongmenghui led New Army units in a successful uprising. They established the Jiangxi Military Government. Li Liejun was elected as the military governor. Li declared Jiangxi as independent and launched an expedition against Qing official Yuan Shikai. On November 3, Shanghai's Tongmenghui, Guangfuhui and merchants led by Chen Qimei (陳其美), Li Pingsu (李平書), Zhang Chengyou (張承槱), Li Yingshi (李英石), Li Xiehe (李燮和) and Song Jiaoren organized an armed rebellion in Shanghai. They received the support of local police officers. The rebels captured the Jiangnan Workshop on the 4th and captured Shanghai soon after. On November 8, they established the Shanghai Military Government and elected Chen Qimei as the military governor. He would eventually become one of the founders of the ROC four big families, along with some of the most well-known families of the era. On November 4, Zhang Bailin (張百麟) of the revolutionary party in Guizhou led an uprising along with New Army units and students from the military academy. They immediately captured Guiyang and established the Great Han Guizhou Military Government, electing Yang Jincheng (楊藎誠) and Zhao Dequan (趙德全) as the chief and vice governor. Also on November 4, revolutionaries in Zhejiang urged the New Army units in Hangzhou to launch an uprising. Zhu Rui (朱瑞), Wu Siyu (吳思豫), Lu Gongwang (吕公望) and others of the New Army captured the military supplies workshop. Other units, led by Chiang Kai-shek and Yin Zhirei (尹銳志), captured most of the government offices. Eventually, Hangzhou was under the control of the revolutionaries, and the constitutionist Tang Shouqian (湯壽潛) was elected as the military governor. On November 5, Jiangsu constitutionists and gentry urged Qing governor Cheng Dequan (程德全) to announce independence and established the Jiangsu Revolutionary Military Government with Cheng himself as the governor. Unlike some of the other cities, anti-Manchu violence began after the restoration on November 7 in Zhenjiang. Qing general Zaimu (載穆) agreed to surrender, but because of a misunderstanding, the revolutionaries were unaware that their safety was guaranteed. 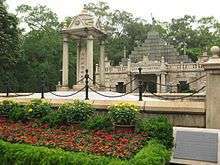 The Manchu quarters were ransacked, and an unknown number of Manchus were killed. Zaimu, feeling betrayed, committed suicide. This is regarded as the Zhenjiang Uprising (鎮江起義). Members of Anhui's Tongmenghui also launched an uprising on that day and laid siege to the provincial capital. The constitutionists persuaded Zhu Jiabao (朱家寶), the Qing Governor of Anhui, to announce independence. On November 7, the Guangxi politics department decided to secede from the Qing government, announcing Guangxi's independence. Qing Governor Shen Bingkun (沈秉堃) was allowed to remain governor, but Lu Rongting would soon become the new governor. Lu Rongting would later rise to prominence during the "warlord era" as one of the warlods, and his bandits controlled Guangxi for more than a decade. Under the leadership of Huang Shaohong, the Muslim law student Bai Chongxi enlisted in a Dare to Die unit to fight as a revolutionary. In November, members of Fujian's branch of the Tongmenghui, along with Sun Daoren (孫道仁) of the New Army, launched an uprising against the Qing army. The Qing viceroy, Song Shou (松壽), committed suicide. On November 11, the entire Fujian province declared independence. The Fujian Military Government was established, and Sun Daoren was elected as the military governor. Near the end of October, Chen Jiongming, Deng Keng (鄧鏗), Peng Reihai (彭瑞海) and other members of Guangdong's Tongmenghui organized local militias to launch the uprising in Huazhou, Nanhai, Sunde and Sanshui in Guangdong Province. On November 8, after being persuaded by Hu Hanmin, General Li Zhun (李準) and Long Jiguang (龍濟光) of the Guangdong Navy agreed to support the revolution. The Qing viceroy of Liangguang, Zhang Mingqi (張鳴岐), was forced to discuss with the local representatives a proposal for Guangdong's independence. They decided to announce it the next day. Chen Jiongming then captured Huizhou. On November 9, Guangdong announced its independence and established a military government. They elected Hu Hanmin and Chen Jiongming as the chief and vice governor. Qiu Fengjia is known to have helped make the independence declaration more peaceful. It was unknown if representatives from the European colonies of Hong Kong and Macau will be ceded to the new government. On November 13, persuaded by revolutionary Din Weifen (丁惟汾) and several other officers of the New Army, the Qing governor of Shandong, Sun Baoqi, agreed to secede from the Qing government and announced Shandong's independence. On November 17, Ningxia the Tongmenghui launched the Ningxia Uprising (寧夏會黨起義). The revolutionaries sent Yu Youren to Zhangjiachuan to meet Dungan Sufi master Ma Yuanzhang to persuade him not to support the Qing. However, Ma did not want to endanger his relationship with the Qings. He sent the eastern Gansu Muslim militia under the command of one of his sons to help Ma Qi crush the Ningxia Gelaohui. The Ningxia Revolutionary Military Government was established on November 23. Some of the revolutionaries involved included Huang Yue (黃鉞) and Xiang Shen (向燊), who gathered New Army forces at Qinzhou (秦州). On November 21, Guang'an organized the Great Han Shu northern Military Government. On November 22, Chengdu and Sichuan began to declare independence. By the 27th, the Great Han Sichuan Military Government was established, headed by revolutionary Pu Dianzun (蒲殿俊). Qing official Duan Fang (端方) would also be killed. On November 8, supported by the Tongmenghui, Xu Shaozhen (徐紹楨) of the New Army announced an uprising in Molin Pass (秣陵關), 30 km (19 mi) away from Nanking City. 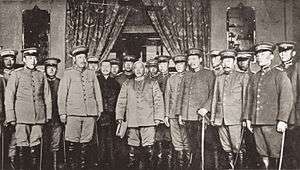 Xu Shaozhen, Chen Qimei and other generals decided to form a united army under Xu to strike Nanking together. On November 11, the united army headquarters was established in Zhenjiang. Between November 24 and December 1, under the command of Xu Shaozhen, the united army captured Wulongshan (烏龍山), Mufushan (幕府山), Yuhuatai (雨花臺), Tianbao City (天保城) and many other strongholds of the Qing army. On December 2, Nanking City was captured by the revolutionaries after the Battle of Nanking. On December 3, revolutionary Su Liangbi led troops in a massacre of a large number of Manchus (the exact number is not known). He was shortly afterward arrested, and his troops disbanded. In 1905, the Qing sent Zhao Erfeng to Tibet to retaliate against rebellions. By 1908, Zhao was appointed imperial resident in Lhasa. Zhao was beheaded in December 1911 by pro-Republican forces. The bulk of the area that was historically known as Kham was now the Xikang Administrative District, created by the Republican revolutionaries. By the end of 1912, the last Manchu troops were escorted out of Tibet. Thubten Gyatso, the 13th Dalai Lama, returned to Tibet in January 1913 from Sikkim, where he had been residing. When the new ROC government apologised for the actions of the Qing and offered to restore the Dalai Lama to his former position, he replied that he was not interested in Chinese ranks, that Tibet had never been subordinated to China, that Tibet was an independent country, and that he was assuming the spiritual and political leadership of Tibet. Because of this, many have read this reply as a formal declaration of independence. The Chinese side ignored the response, and Tibet had thirty years free of interference from China. At the end of 1911, the Mongols took action with an armed revolt against the Manchu authorities but was unsuccessful in the attempt. An independence movement took place that was not limited to just North (outer) Mongolia but was a pan-Mongolian phenomenon. On December 29, 1911, Bogd Khan became the leader of the Mongol empire. Inner Mongolia became a contested terrain between Khan and the Republic. In general, Russia supported the Independence of Outer Mongolia (including Tannu Uriankhai) during the time of the Xinhai Revolution. Tibet and Mongolia then recognized each other in a treaty. In Xinjiang on December 28, Liu Xianzun (劉先俊) and the revolutionaries started the Dihua Uprising (迪化起義). This was led by more than 100 members of Geilaohui. This uprising failed. On January 7, 1912, the Yili Uprising (伊犁起義) with Feng Temin (馮特民) began. Qing governor Yuan Dahua (袁大化) fled and handed over his resignation to Yang Zengxin, because he could not handle fighting the revolutionaries. In the morning of January 8, a new Yili government was established for the revolutionaries, but the revolutionaries would be defeated at Jinghe in January and February. Eventually because of the abdication to come, Yuan Shikai recognized Yang Zengxin's rule, appointed him Governor of Xinjiang and had the province join the Republic. Eleven more former Qing officials would be assassinated in Zhenxi, Karashahr, Aksu, Kucha, Luntai and Kashgar in April and May 1912. The revolutionaries printed new multi-lingual media. In 1911 as part of the Xinhai Revolution, Tongmenghui sent Luo Fu-xing (羅福星) to the island of Taiwan to free it from being occupied by the Japanese. The goal was to bring Taiwan island back to the Chinese Republic by having the Taiwan Uprising (台灣起義). Luo was caught and killed on March 3, 1914. What was left was known as the "Miaoli incident", (苗栗事件) where more than 1,000 Taiwanese were executed by the Japanese police. Luo's sacrifice is commemorated in Miaoli. On November 1, 1911, the Qing government appointed Yuan Shikai as the prime minister of the imperial cabinet, replacing Prince Qing. On November 3, after a proposition by Cen Chunxuan from the Constitutional Monarchy Movement (立憲運動), in 1903, the Qing court passed the Nineteen Articles (憲法重大信條十九條), which turned the Qing from an autocratic system with the emperor having unlimited power to a constitutional monarchy. On November 9, Huang Xing even cabled Yuan Shikai and invited him to join the Republic. The court changes were too late, and the emperor was about to have to step down. On November 28, 1911, Wuchang and Hanyang had fallen back to the Qing army. So for safety, the revolutionaries convened their first conference at the British concession in Hankou on November 30. By December 2, the revolutionary forces were able to capture Nanking in the uprising; the revolutionaries decided to make it the site of the new provisional government. At the time, Beijing was still the Qing capital. On December 18, the North-South Conference (南北議和) was held in Shanghai to discuss the north and south issues. 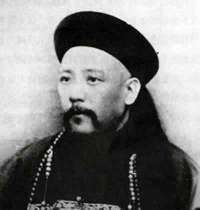 Yuan Shikai selected Tang Shaoyi as his representative. Tang left Beijing for Wuhan to negotiate with the revolutionaries. The revolutionaries chose Wu Tingfang. With the intervention of six foreign powers, the United Kingdom, the United States, Germany, Russia, Japan, and France, Tang Shaoyi and Wu Tingfang began to negotiate a settlement at the British concession. Foreign businessman Edward Selby Little (李德立) acted as the negotiator and facilitated the peace agreement. They agreed that Yuan Shikai would force the Qing emperor to abdicate in exchange for the southern provinces' support of Yuan as the president of the Republic. After considering the possibility that the new republic might be defeated in a civil war or by foreign invasion, Sun Yat-sen agreed to Yuan's proposal to unify China under Yuan Shikai's Beijing government. Further decisions were made to let the emperor rule over his little court in the New Summer Palace. He would be treated as a ruler of a separate country and have expenses of several million taels in silver. On December 29, 1911, Sun Yat-sen was elected as the first provisional president. January 1, 1912, was set as the first day of the First Year of the ROC. On January 3, the representatives recommended Li Yuanhong as the provisional vice president. During and after the Xinhai Revolution, many groups that participated wanted their own pennant as the national flag. During the Wuchang Uprising, the military units of Wuchang wanted the nine-star flag with Taijitu. 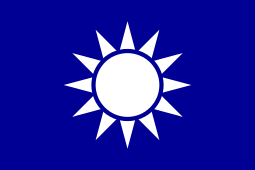 Others in competition included Lu Haodong's Blue Sky with a White Sun flag. Huang Xing favored a flag bearing the mythical "well-field" system of village agriculture. In the end, the assembly compromised: the national flag would be the banner of Five Races Under One Union. The Five Races Under One Union flag with horizontal stripes represented the five major nationalities of the republic. 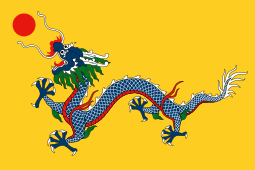 The red represented Han, the yellow represented Manchus, the blue for Mongols, the white for Muslims, and the black for Tibetans. Despite the general target of the uprisings to be the Manchus, Sun Yat-sen, Song Jiaoren and Huang Xing unanimously advocated racial integration to be carried out from the mainland to the frontiers. On January 16, while returning to his residence, Yuan Shikai was ambushed in a bomb attack organized by the Tongmenghui in Donghuamen (東華門), Tientsin, Beijing. A total of eighteen revolutionaries were involved. About ten of the guards died, but Yuan himself was not seriously injured. He sent a message to the revolutionaries the next day pledging his loyalty and asking them not to organize any more assassination attempts against him. Zhang Jian drafted an abdication proposal that was approved by the Provisional Senate. On January 20, Wu Tingfang of the Nanking Provisional government officially delivered the imperial edict of abdication to Yuan Shikai for the abdication of Puyi. On January 22, Sun Yat-sen announced that he would resign the presidency in favor of Yuan Shikai if the latter supported the emperor's abdication. Yuan then pressured Empress Dowager Longyu with the threat that the lives of the imperial family would not be spared if abdication did not come before the revolutionaries reached Beijing, but if they agree to abdicate, the provisional government would honor the terms proposed by the imperial family. On February 3, Empress Dowager Longyu gave Yuan full permission to negotiate the abdication terms of the Qing emperor. Yuan then drew up his own version and forwarded it to the revolutionaries on February 3. His version consisted of three sections instead of two. On February 12, 1912, after being pressured by Yuan and other ministers, Puyi (age six) and Empress Dowager Longyu accepted Yuan's terms of abdication. As a condition for ceding leadership to Yuan Shikai, Sun Yat-sen insisted that the provisional government remain in Nanjing. On February 14, the Provisional Senate initially voted 20-5 in favor of making Beijing the capital over Nanjing, with two votes going for Wuhan and one for Tianjin. The Senate majority wanted to secure the peace agreement by taking power in Beijing. Zhang Jian and others reasoned that having the capital in Beijing would check against Manchu restoration and Mongol secession. But Sun and Huang Xing argued in favor of Nanjing to balance against Yuan's power base in the north. Li Yuanhong presented Wuhan as a compromise. The next day, the Provisional Senate voted again, this time, 19-6 in favor of Nanjing with two votes for Wuhan. Sun sent a delegation led by Cai Yuanpei and Wang Jingwei to persuade Yuan to move to Nanjing. Yuan welcomed the delegation and agreed to accompany the delegates back to the south. Then on the evening of February 29, riots and fires broke out all over the city. They were allegedly started by disobedient troops of Cao Kun, a loyal officer of Yuan. The disorder gave Yuan the pretext to stay in the north to guard against unrest. On March 10, Yuan was inaugurated in Beijing as the provisional president of the Republic of China. On April 5, the Provisional Senate in Nanjing voted to make Beijing the capital of the Republic and convened in Beijing at the end of the month. On March 10, 1912, Yuan Shikai was sworn as the second Provisional President of the Republic of China in Beijing. The government based in Beijing, called the Beiyang Government, was not internationally recognized as the legitimate government of the Republic of China until 1928, so the period from 1912 until 1928 was known simply as the "Beiyang Period". 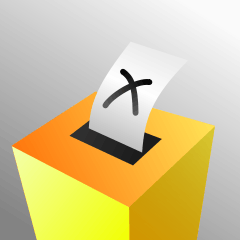 The first National Assembly election took place according to the Provisional Constitution. While in Beijing, the Kuomintang was formed on August 25, 1912. The KMT held the majority of seats after the election. Song Jiaoren was elected as premier. However, Song was assassinated in Shanghai on March 20, 1913, under the secret order of Yuan Shikai. The American Christian Rev. Dr. George F. Pentecost spoke out against western imperialism, saying: As for the Chinese, I have the highest opinion not only of the Chinese character, but of the Chinese fitness for self-government. I think they are eminently fitted to make a republic successful. China, for instance, is infinitely better fitted than is Russia for development along republican lines. In fact, China has always been practically a republic. It has had its dynasties of rulers, but the political unit of China has always been the village. The village people have always had their influence upon the Government. What is more, the average Chinaman is intelligent. After the revolution, there was a huge outpouring of anti-Manchu sentiment through China, but particularly in Beijing where thousands died in anti-Manchu violence as Imperial restrictions on Han residency and behavior within the city crumbled as Manchu Imperial power crumbled. Anti-Manchu sentiment is recorded in books like A Short History of Slaves (奴才小史) and The Biographies of Avaricious Officials and Corrupt Personnel (貪官污吏傳) by Laoli (老吏). During the abdication of the last emperor, Empress Dowager Longyu, Yuan Shikai and Sun Yat-sen both tried to adopt the concept of "Manchu and Han as one family" (滿漢一家). People started exploring and debating with themselves on the root cause of their national weakness. This new search of identity was the New Culture Movement. Manchu culture and language, on the contrary, has become virtually extinct by 2007. Unlike revolutions in the West, the Xinhai Revolution did not restructure society. The participants of the Xinhai Revolution were mostly military personnel, old-type bureaucrats, and local gentries. These people still held regional power after the Xinhai Revolution. Some became warlords. There were no major improvements in the standard of living. Writer Lu Xun commented in 1921 during the publishing of The True Story of Ah Q, ten years after the Xinhai Revolution, that basically nothing changed except "the Manchus have left the kitchen". The economic problems were not addressed until the governance of Chiang Ching-kuo in Taiwan and Deng Xiaoping on the mainland. The Xinhai Revolution mainly got rid of feudalism (fengjian) from Late Imperial China. In the usual view of historians, there are two restorations of feudal power after the revolution: the first was Yuan Shikai; the second was Zhang Xun. Both were unsuccessful, but the "feudal remnants" returned to China with the Cultural Revolution in a concept called guanxi, where people relied not on feudal relationships, but personal relationships, for survival. While guanxi is helpful in Taiwan, on the mainland, guanxi is necessary to get anything done. The Xinhai Revolution overthrew the Qing government and two thousand years of monarchy. Throughout Chinese history, old dynasties had always been replaced by new dynasties. The Xinhai Revolution, however, was the first to overthrow a monarchy completely and attempt to establish a republic to spread democratic ideas throughout China. Though in 1911 at the provisional government welcome ceremony, Sun Yat-sen said, "The revolution is not yet successful, the comrades still need to strive for the future." (革命尚未成功，同志仍需努力). Since the 1920s, the two dominant parties–the KMT and PRC–see the Xinhai Revolution quite differently. Both sides recognize Sun Yat-sen as the Father of the Nation, but in Taiwan, they mean "Father of the Republic of China". On the mainland, Sun Yat-sen was seen as the man who helped bring down the Qing, a pre-condition for the Communist state founded in 1949. The PRC views Sun's work as the first step towards the real revolution in 1949, when the communists set up a truly independent state that expelled foreigners and built a military and industrial power. The father of New China is seen as Mao Zedong. In 1954, Liu Shaoqi was quoted as saying that the "Xinhai Revolution inserted the concept of a republic into common people". Zhou Enlai pointed out that the "Xinhai Revolution overthrew the Qing rule, ended 2000 years of monarchy, and liberated the mind of people to a great extent, and opened up the path for the development of future revolution. This is a great victory." A change in the belief that the revolution had been a generally positive change began in the late 1980s and 1990s, but Zhang Shizhao was quoted as arguing that "When talking about the Xinhai Revolution, the theorist these days tends to overemphasize. The word 'success' was way overused." The success of the democracy gained from the revolution can vary depending on one's view. Even after the death of Sun Yat-sen in 1925, for sixty years, the KMT controlled all five branches of the government; none were independent. Yan Jiaqi, founder of the Federation for a Democratic China, has said that Sun Yat-sen is to be credited as founding China's first republic in 1912, and the second republic is the people of Taiwan and the political parties there now democratizing the region. Meanwhile, the ideals of democracy are far from realised on the mainland. For example, former Chinese premier Wen Jiabao once said in a speech that without real democracy, there is no guarantee of economic and political rights; but he led a 2011 crackdown against the peaceful Chinese jasmine protests. Liu Xiaobo, a pro-democracy activist who received the global 2010 Nobel Peace Prize, is in prison. Others, such as Qin Yongmin (秦永敏) of the Democracy Party of China, who was only released from prison after twelve years, do not praise the Xinhai Revolution. Qin Yongmin said the revolution only replaced one dictator with another, that Mao Zedong was not an emperor, but he is worse than the emperor. Wikimedia Commons has media related to Xinhai Revolution. ↑ Li Xing. (2010). The Rise of China and the Capitalist World Order. Ashgate Publishing, Ltd. ISBN 0-7546-7913-6, ISBN 978-0-7546-7913-4. pg 91. ↑ South China morning post. March 29, 2011. Hong Kong played a key role in the life of Sun Yat-sen.
↑ 陳民, 中國社會科學院. 中華民國史研究室. (1981). 中國致公黨. 文史資料出版社. Digitized University of California Dec 10, 2007. ↑ Etō, Shinkichi. Schiffrin, Harold Z. (2008). China's Republican Revolution. University of Tokyo Press. Digitized Sep 10, 2008. ISBN 4-13-027030-3, ISBN 978-4-13-027030-4. ↑ 蔣緯國. (1981). 建立民國, Volume 2. 國民革命戰史: 第1部. 黎明文化事業公司. University of California. Digitized Feb 14, 2011. ↑ Kaplan, Lawrence M. (2010). Homer Lea American Soldier of Fortune. Lexington: University Press of Kentucky. 1 2 Lau, Kit-ching Chan. (1990). China, Britain and Hong Kong, 1895–1945. Chinese University Press. ISBN 962-201-409-7, ISBN 978-962-201-409-1. pg 37. ↑ Spence, Jonathan D.  (1990). The Search for Modern China. W. W. Norton & Company Publishing. ISBN 0-393-30780-8, ISBN 978-0-393-30780-1. pg 250–256. 1 2 計秋楓, 朱慶葆. (2001). 中國近代史, Volume 1. Chinese University Press. ISBN 962-201-987-0, ISBN 978-962-201-987-4. pg 464. 1 2 South China morning post. April 6, 2011. Waiting may be over at grave of an unsung hero. 1 2 Wang, Ke-wen. (1998). Modern China: an encyclopedia of history, culture, and nationalism. Taylor & Francis Publishing. ISBN 0-8153-0720-9, ISBN 978-0-8153-0720-4. pg 424. ↑ 陳錫祺. (1991). 孫中山年谱長編 volume 1. 中华书局. ISBN 7-101-00685-X, 9787101006858. 1 2 Joan Judge. (1996). Print and politics: 'Shibao' and the culture of reform in late Qing China. Stanford University Press. ISBN 0-8047-2741-4, ISBN 978-0-8047-2741-9. pg 214. ↑ 清宮藏辛亥革命檔案公佈 清廷密追孫中山(圖)-新聞中心_中華網 (in Chinese). Big5.china.com. Retrieved 2011-10-16. 1 2 3 張家鳳. (2010). 中山先生與國際人士. Volume 1. 秀威資訊科技股份有限公司. ISBN 986-221-510-0, ISBN 978-986-221-510-4. pg 195. ↑ "宝鸡新闻网——荟集宝鸡新闻". Baojinews.com. 2011-05-27. Retrieved 2011-10-16. ↑ 張豈之, 陳振江, 江沛. (2002). 晚淸民國史. Volume 5 of 中國歷史. 五南圖書出版股份有限公司 publishing. ISBN 957-11-2898-8, ISBN 978-957-11-2898-6. pg 177. 1 2 3 Lu Xun. Nadolny, Kevin John. (2009). Capturing Chinese: Short Stories from Lu Xun's Nahan. Capturing Chinese publishing. ISBN 0-9842762-0-3, ISBN 978-0-9842762-0-2. pg 51. ↑ 鄭連根. (2009). 故紙眉批── 一個傳媒人的讀史心得. 秀威資訊科技股份有限公司 publishing. ISBN 986-221-190-3, ISBN 978-986-221-190-8. pg 135. ↑ 中華民國史硏究室. (1986). 中華民國史資料叢稿: 譯稿. Volumes 1–2 of 中華 民國史資料叢稿. 中華書局 publishing. ↑ 廣西壯族自治區地方誌編纂委員會. (1994). 廣西通志: 軍事志. 廣西人民出版社 publishing. Digitized University of Michigan. Oct 26, 2009. ↑ 中国百科年鉴. (1982). 中国大百科全书出版社. University of California. Digitized Dec 18, 2008. ↑ 汪贵胜, 许祖范. Compiled by 程必定. (1989). 安徽近代经济史. 黄山书社. Digitized by the University of Michigan. Oct 31, 2007. ↑ 张新民. (1993). 中国人权辞书. 海南出版社 publishing. Digitized by University of Michigan. Oct 9, 2009. 1 2 Langmead, Donald. (2011). Maya Lin: A Biography. ABC-CLIO Publishing. ISBN 0-313-37853-3, ISBN 978-0-313-37853-9. pg 5-6. ↑ Reilly, Thomas. (1997). Science and Football III, Volume 3. Taylor & Francis publishing. ISBN 0-419-22160-3, ISBN 978-0-419-22160-9. pg 105–106. Pg 277–278. 1 2 王恆偉. (2005) (2006) 中國歷史講堂 No. 6 民國. 中華書局. ISBN 962-8885-29-4. pg 3–7. 1 2 3 4 戴逸, 龔書鐸. (2003) 中國通史. 清. Intelligence Press. ISBN 962-8792-89-X. p 86-89. 1 2 3 4 5 张创新. (2005). 中国政治制度史. Edition 2. 清华大学出版社 publishing. ISBN 7-302-10146-9, ISBN 978-7-302-10146-8. pg 377. 1 2 3 4 5 6 7 8 9 10 11 12 13 14 "武昌起義之後各省響應與國際調停 _新華網湖北頻道". Big5.xinhuanet.com. Retrieved 2011-10-16. 1 2 Jonathan Neaman Lipman (2004). Familiar Strangers: A History of Muslims in Northwest China. Seattle: University of Washington Press. p. 170. ISBN 0-295-97644-6. Retrieved June 28, 2010. 1 2 Rhoads, Edward J. M.  (2000). Manchus & Han: Ethnic Relations and Political Power in Late Qing and Early Republican China, 1861-1928. University of Washington publishing. ISBN 0-295-98040-0, ISBN 978-0-295-98040-9. pg 192. ↑ 中共湖南省委員會. (1981). 新湘評論, Issues 7-12. 新湘評論雜誌社. 1 2 3 4 Rhoads, Edward J. M.  (2000). Manchus & Han: Ethnic Relations and Political Power in Late Qing and Early Republican China, 1861-1928. University of Washington Press. ISBN 0-295-98040-0, ISBN 978-0-295-98040-9. pg 194. ↑ Lary, Diana. (2010). Warlord Soldiers: Chinese Common Soldiers 1911-1937. Cambridge University Press. ISBN 0-521-13629-6, ISBN 978-0-521-13629-7. pg 64. ↑  (1979). 傳記文學, Volume 34. 傳記文學雜誌社 Publishing. University of Wisconsin – Madison. Digitized Apr 11, 2011. ↑ 居正, 羅福惠, 蕭怡. (1989). 居正文集, Volume 1. 華中師範大學出版社 publishing. Digitized by University of California. Dec 15, 2008. ↑ Travels Of A Consular Officer In North-West China. CUP Archive. p. 188. Retrieved June 28, 2010. ↑ Jonathan Neaman Lipman (2004). Familiar Strangers: A History of Muslims in Northwest China. Seattle: University of Washington Press. pp. 182, 183. ISBN 0-295-97644-6. Retrieved June 28, 2010. 1 2 Rhoads, Edward J. M.  (2000). Manchus & Han: Ethnic Relations and Political Power in Late Qing and Early Republican China, 1861-1928. University of Washington Publishing. ISBN 0-295-98040-0, ISBN 978-0-295-98040-9. pg 198. 1 2 Onon, Urgunge Onon. Pritchatt, Derrick. (1989). Asia's first modern revolution: Mongolia proclaims its independence in 1911. BRILL Publishing. ISBN 90-04-08390-1, ISBN 978-90-04-08390-5. pg 38-40, 79. ↑ Uradyn Erden Bulag. Hildegard Diemberger. International Association for Tibetan Studies. Seminar, Uradyn Erden Bulag. Brill's Tibetan studies library. (2007). "The Mongolia-Tibet interface: opening new research terrains in Inner Asia" : PIATS 2003 : Tibetan studies : Proceedings of the Tenth Seminar of the International Association for Tibetan Studies. BRILL Publishing. ISBN 90-04-15521-X, ISBN 9789004155213. ↑ Andrew D. W. Forbes (1986). Warlords and Muslims in Chinese Central Asia: a political history of Republican Sinkiang 1911–1949. Cambridge, England: CUP Archive. p. 376. ISBN 0-521-25514-7. Retrieved June 28, 2010. ↑  (2007). Daily report: People's Republic of China, Issues 200-210. National Technical Information Service publishing. Digitized Mar 2, 2007 by University of Michigan. pg 50. ↑ Rhoads, Edward J. M.  (2000). Manchus & Han: ethnic relations and political power in late Qing and early republican China, 1861-1928. University of Washington Press. ISBN 0-295-98040-0, ISBN 978-0-295-98040-9. pg 183. 1 2 3 4 Rhoads, Edward J. M.  (2000). Manchus & Han: ethnic relations and political power in late Qing and early republican China, 1861-1928. University of Washington publishing. ISBN 0-295-98040-0, ISBN 978-0-295-98040-9. pg 228. ↑ Pomerantz-Zhang, Linda. (1992). Wu Tingfang (1842-1922): reform and modernization in modern Chinese history. Hong Kong University Press. ISBN 962-209-287-X, 9789622092877. pg 207- 209. ↑ K. S. Liew. (1971). Struggle for democracy: Sung Chiao-jen and the 1911 Chinese revolution. University of California Press. ISBN 0-520-01760-9, ISBN 978-0-520-01760-3. pg 131-136. ↑ 中央硏究院近代史硏究所. (1971). 中央硏究院近代史硏究所集刊, Volume 2. Digitized on Aug 2, 2007 from the University of California. ↑ 存萃學社. 周康燮. (1971). 辛亥革命研究論集: 1895-1929, Volume 1. 崇文書店 publishing. Digitized on Aug 16, 2007 by University of Michigan. ↑ Eiko Woodhouse (2 August 2004). The Chinese Hsinhai Revolution: G. E. Morrison and Anglo-Japanese Relations, 1897-1920. Routledge. pp. 113–. ISBN 978-1-134-35242-5. 1 2 Rhoads, Edward J. M.  (2000). Manchus & Han: ethnic relations and political power in late Qing and early republican China, 1861-1928. University of Washington publishing. ISBN 0-295-98040-0, ISBN 978-0-295-98040-9. pg 266. ↑ Ulrich Theobald (2011-09-28). "Chinese Literature – Man-Qing yeshi 滿淸野史". www.chinaknowledge.de. Retrieved 2011-11-17. ↑ Tanner, Harold M.  (2010). "China: From the Great Qing Empire through the People's Republic of China 1644-2009" Volume 2 of China: A History. Hackett Publishing. ISBN 1-60384-204-7, ISBN 978-1-60384-204-4. pg 123. ↑ Lague, David (2007-03-16). "China's Manchu speakers struggle to save language". The New York Times. Retrieved 2011-11-17. ↑ Yang, Mayfair Mei-hui. (1994). Gifts, favors, and banquets: the art of social relationships in China. Cornell University Press. ISBN 0-8014-9592-X, 9780801495922. Pg 146-147. 1 2 3 4 5 South China morning post. March 29, 2011. Replacing Chairman Mao with Sun Yat-sen.
↑ 1059 (2011-09-19). "劉少奇談辛亥革命（摘要）-中國共產黨新聞". Dangshi.people.com.cn. Retrieved 2011-11-17. ↑ "王志昆講重慶辛亥革命：為什麼兵不血刃，一次成功_重慶_重慶站_鳳凰網". Big5.ifeng.com. 2008-12-30. Retrieved 2011-11-17. ↑ 章, 士釗 (2000) . "孫、黃遺劄密詮". 章士釗全集. 8. 上海: 文彙出版社. p. 341. ISBN 7805315434. ↑ Pomfret, James (June 27, 2011). "China's Wen calls for greater democracy, reforms". Reuters. Retrieved 2011-11-17. ↑ The Yomiuri Shimbun (2011-10-14). "100 years on, China far from democracy : Editorial : DAILY YOMIURI ONLINE (The Daily Yomiuri)". Yomiuri.co.jp. Retrieved 2011-11-17. 1 2 "Democracy Activist Qin Yongmin Released from Prison after 12-Year Sentence | Human Rights in China 中国人权". Hrichina.org. 2010-11-29. Retrieved 2011-11-17. ↑ "China grapples with revolutionary past, 100 years on". The West Australian. Au.news.yahoo.com. 2011-10-09. Retrieved 2011-11-17. Wu Xinghan (Chinese: 吳醒漢), Three Day Journal of Wuchang Uprising (Chinese: 武昌起義三日記). Esherick, Joseph W. (1976). Reform and revolution in China : the 1911 revolution in Hunan and Hubei. Berkeley: University of California Press. ISBN 0-520-03084-2. Shinkichi, / edited Eto; Schiffrin, Harold Z. (1994). China's republican revolution. [Tokyo]: University of Tokyo Press. ISBN 4-13-027030-3. Fung, Edmund S. K. (1980). The military dimension of the Chinese revolution : the New Army and its role in the revolution of 1911. Vancouver: University of British Columbia Press. ISBN 0-7748-0129-8. Goldstein, Melvyn C. (1991). A History of Modern Tibet, 1913–1951:The Demise of the Lamaist state. University of California Press. ISBN 978-0-520-07590-0. Ma, L. Eve Armentrout (1990). Revolutionaries, monarchists, and Chinatowns : Chinese politics in the Americas and the 1911 revolution. Honolulu: University of Hawaii Press. ISBN 0-8248-1239-5. Rankin, Mary Backus (1986). Elite activism and political transformation in China : Zhejiang Province, 1865-1911. Stanford, Calif.: Stanford University Press. ISBN 0-8047-1321-9. Wright, Mary Clabaugh (1978). China in revolution : the first phase 1900-1913 (4. printing. ed.). New Haven [u.a. ]: Yale University Press. ISBN 0-300-01460-0. Hsieh, Winston (1975). Chinese historiography on the Revolution of 1911 : a critical survey and a selected bibliography. Stanford, Calif.: Hoover Institution Press, Stanford University. ISBN 0-8179-3341-7. Young, Ernest P. (1977). The Presidency of Yuan Shih-K'ai : Liberalism and Dictatorship in Early Republican China. Ann Arbor: University of Michigan Press, Michigan Studies on China. Kaplan, Lawrence M. (2010). Homer Lea : American Soldier of Fortune. Lexington. : University Press of Kentucky. ISBN 978-0-8131-2616-6. Tang (唐), Degang (德剛) (1998). The Late 50 years of Qing: Yuan Shikai, Sun Yat-sen and Xinhai Revolution. Taipei: Yuanliu (遠流). ISBN 957-32-3513-7.